Most Ford vehicles come with a key fob that allows for a keyless entrance. How convenient? And yes, Ford vehicles are all about making your life easier. During the cold winter days, there is nothing better than not having to spend a few minutes outside in the cold trying to open your vehicle. So, how can you program a car remote keys for Ford vehicles? It is quite simple, just follow the steps below. 2. Without starting the engine, turn the ignition 8 times within 8 seconds. After the 8th turn, the door lock will cycle (lock and unlock) to show that the vehicle is ready for programming. 3. Then, within 20 seconds of the lock cycling, press any button on your keyfob or car remote transmitter. The door locks will cycle again to confirm that the programming has been done. 4. In the event that you want to configure another transmitter, all you have to do is make sure you press a button on the 2nd key fob within 20 seconds of programming the first one. 5. Follow the previous step to configure more transmitters. 6. Once you are done programming your transmitter(s), turn the ignition off. Then the lock will cycle one last time to bring the programming to an end. And yes, this is all. It is all quite simple! You are now fully trained and ready to program your car remote transmitter today! Having a remote transmitter makes your life easier. But there are few things you have to watch out for because the key fob might malfunction at times. It is always a good idea to have extra battery you can easily reach in the event that the battery in the key fob dies. Another good idea is to have a least two transmitters programmed just in case one of them ceases to work. It might also be smart to have a set of keys attached to your key fob. After all, it’s up to you to decide what works best for you. Now that you have your transmitter set up, it’s about time to get your vehicle ready for the winter.  At Team Ford in Edmonton, we want to answer our customers’ questions about their Ford vehicles. So check out our videos to learn more about vehicles and what we do here at Team Ford, Edmonton.